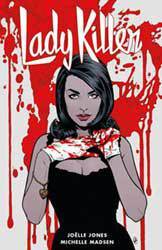 Joëlle Jones, Lady Killer Volume 2 (Dark Horse, 2017). $17.99, pb. I confess I am not usually a fan of ultraviolent slash-n-gore comics. Just because, as the great Ernie Bushmiller put it, anything can happen in a comic it doesn’t mean that everything should happen in a comic. But, oh, have I fallen for Lady Killer, by the magnificent Joëlle Jones. Graced with the style of a Golden Age romance comic and the brutal frankness of today’s best crime comics, this is a mashup that keeps on giving. And if the first arc left me wondering whether the ongoing tale of Josie Schuller—1960s housewife-by-day and hired-killer-by, well, day-and-night—could sustain itself, the second arc sells the long-term investment in the series much better than Josie sells tupperware (spoiler alert: she is a terrible tupprware salesperson). In this volume, we find Josie and the Schullers in Florida, as she tries to go into business for herself like any good American dreamer. But the life of a small businesswoman is never easy, especially when your partner is a sadistic fugitive from Nazi Germany and your mother-in-law (herself an ex-Nazi) knows your darkest secrets. A pitch-perfect blend of over-the-top violence, dark comedy, social satire, and droll feminism, this is one of the most fun things on the shelves right now. Jared Gardner teaches comics, film, and American literature and popular culture film at the Ohio State University. 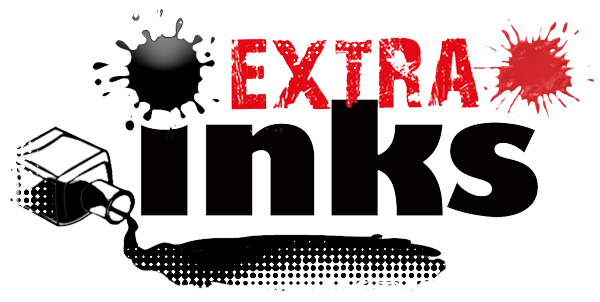 He was the founding editor of Inks and now helps out the amazing new editor, Qiana Whitted, and edits Extra Inks for Qiana and the Comics Studies Society. He has been nominated four times for the Eisners for books he has written or edited, which is a bit weird since his own comics are pretty terrible.